The Heit family on the boardwalk in Atlantic City, NJ. 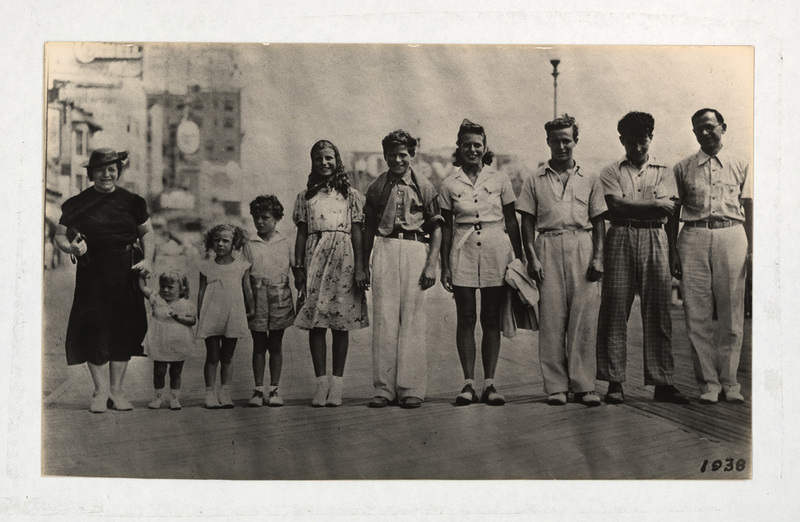 Left to right: Anna (mother), Arlene, Sally-Jane, David, Lucille, Elliot, Marilyn, Raymond, Allyn, Louis (father). Connecting is what gives light to life. My shows never stay the same and that is because each audience, each individual, brings new awareness to what I have written and what I am performing. I may be doing a one-woman show, but I am doing it for and with others. It's a partnership. 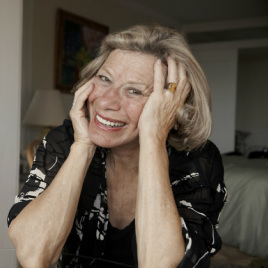 Sally-Jane Heit was born in Brooklyn into a tumultuous, arts loving Jewish family with eight children and modest means. Her need to garner attention among her siblings stirred her natural abilities as a performer - singing, dancing, and acting. At home, she felt like just another sister, just another daughter, but on stage, she was special and she thrived in the spotlight. 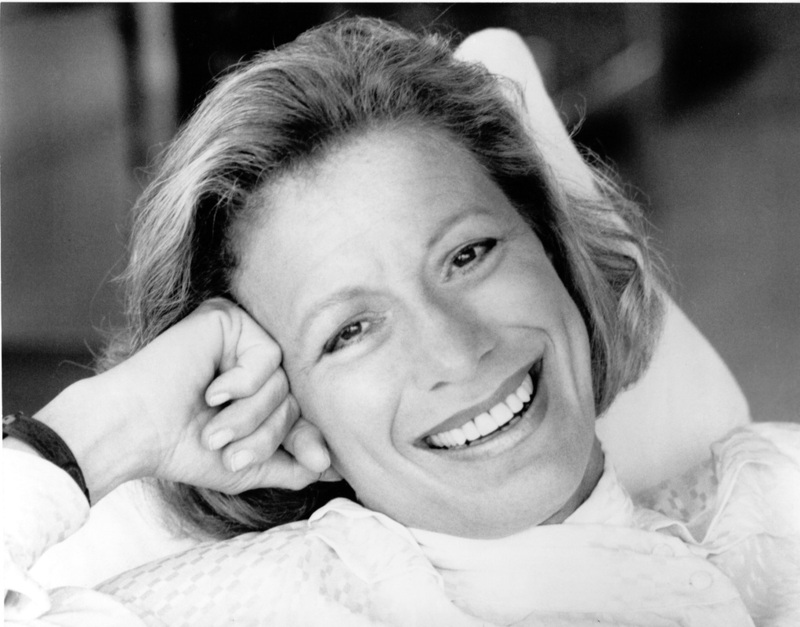 As a child, she trained at the Neighborhood Playhouse and as a teenager, studied at New York’s High School of Performing Arts, where Martha Graham and Sidney Lumet served as her mentors. Her ambition was to become a big-time movie musical star. She and Betty Grable had the same shoe size. Winners of the NYC Bell of the Borough Contest. 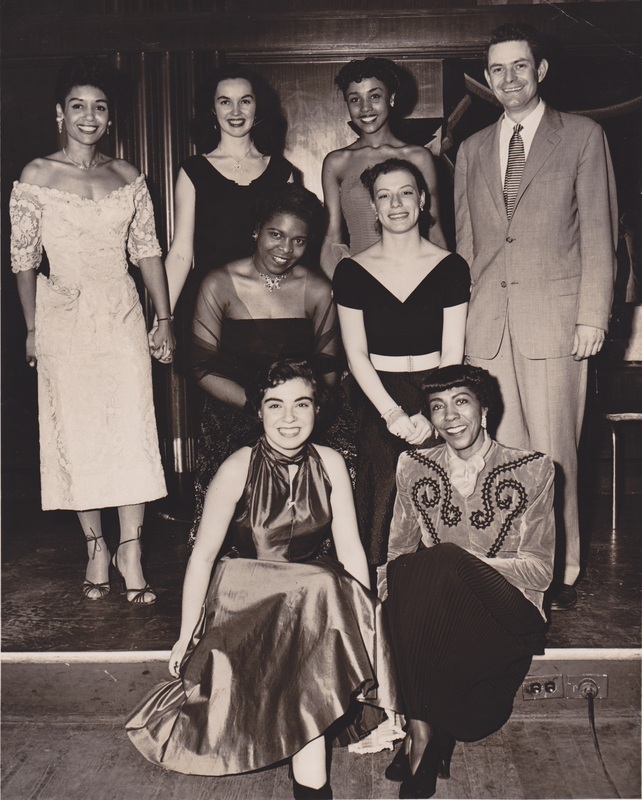 Sally-Jane (seated center right) and Diahann Caroll (standing 3rd from left). The prizes included an evening gown, a crown, and a six-week radio performance contract. 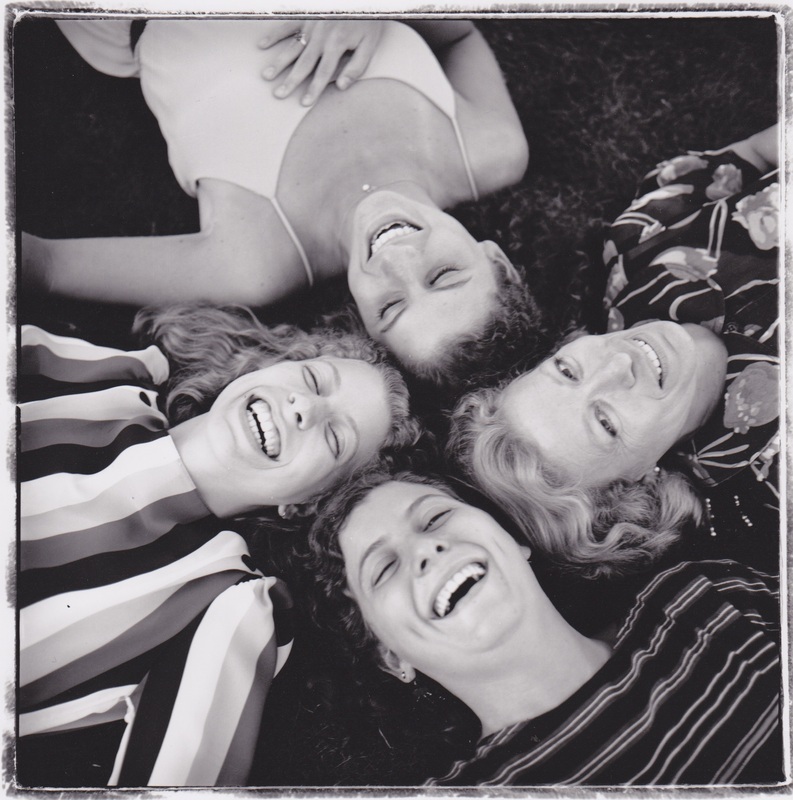 Sally Jane with her her daughters, Dianne, Lori, and Pamela. Photo by Sally-Jane's niece, Annie Leibovitz, taken at a family wedding. 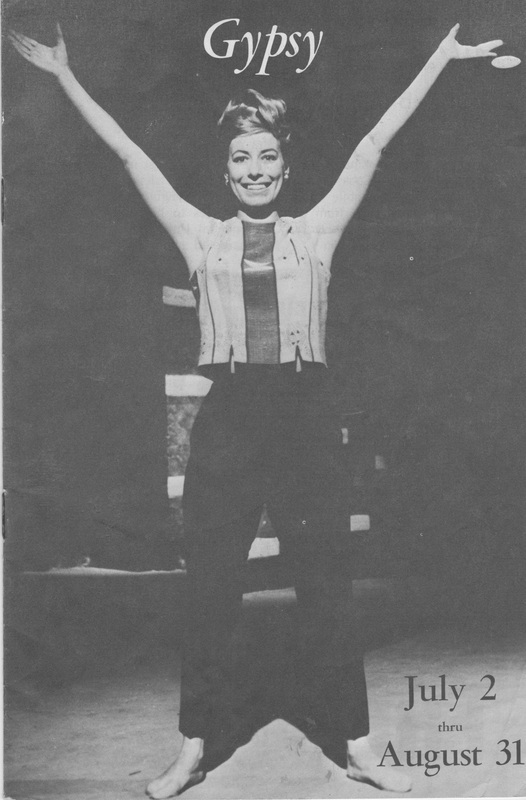 Sally-Jane's favorite role was Mama Rose in Gypsy. 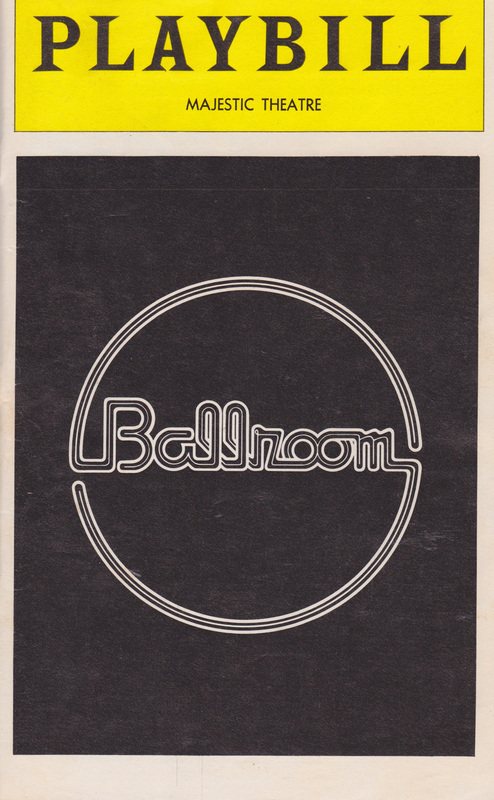 Playbill for Ballroom, Michael Bennett's first show after A Chorus Line, in which Sally-Jane made her Broadway debut playing a lead character opposite Dorothy Loudon. Sally-Jane's first foray into the one-woman show format marked the beginning of her satirical take on life in Washington, D.C., where satire reigns both on and off the beltway. One of Sally-Jane's many cabaret tours that took her to New York City, Los Angeles, Houston, London, and beyond. 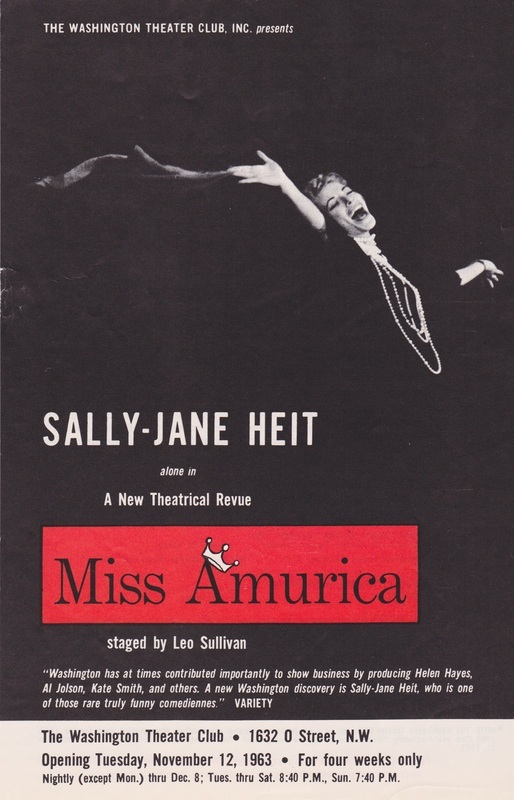 Sally-Jane's 8" x 10" glossy-with-resume-attached that made the rounds to agents, producers, directors, repertory theatres, and her mother. 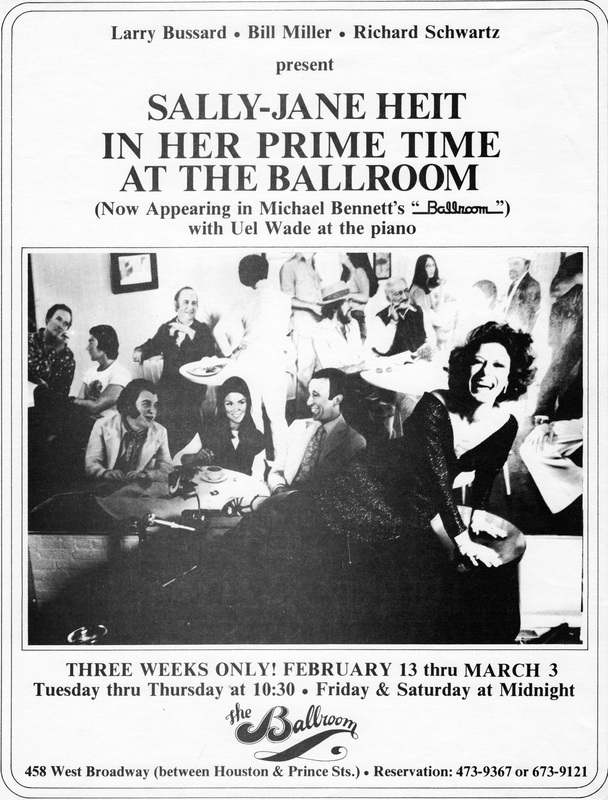 A few decades later, Sally-Jane is still going strong. Early in her life, she performed for attention and love, but now she does it because she loves going on creative journeys with audiences. Based in Massachusetts and Florida, she tours the country giving back to causes close to her heart by donating performances to theaters, universities, conferences, and community organizations. Her ambition is to inspire and support others to take center stage in their own lives. If I think about it, my whole life I have been auditioning for myself. I think I shall give me the part.